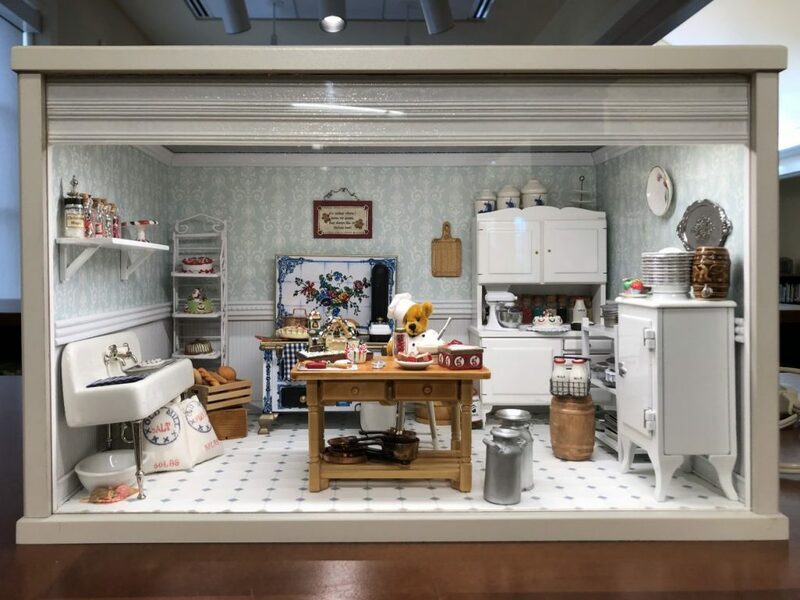 Betty Scheiss’ Teddy’s Christmas Kitchen (2016) is on view in the Robins Library now. The dollhouses have arrived! Now’s the time to visit the Lora Robins Library at Lewis Ginter Botanical Garden during Dominion Energy GardenFest of Lights. Currently on display are 45 dollhouses and dioramas on loan from local private collections. These miniatures include a diner, a 6-foot long Victorian house, a bakery (pictured above), a houseboat, two service stations, and our very own Garden Shop. One Richmonder included a teeny-tiny hand-painted illustration of our CWDKids Treehouse, along with an itty-bitty Richmond Magazine and teensy-weensy gift bags from Carytown toy shop World of Mirth. Photographs don’t do these minis justice, so you’ll just have to come see for yourself! While you’re here at the Lora Robins Library, check out some new titles! 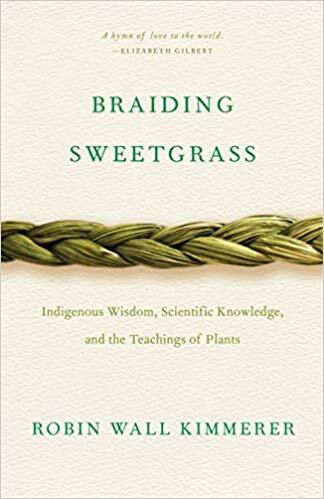 One new acquisition is Braiding Sweetgrass, a lyrical work of nonfiction by Robin Wall Kimmerer. 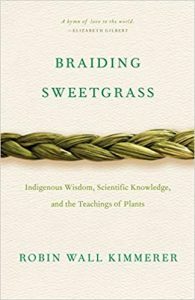 In it, she examines humankind’s relationship with the rest of the living world, both as a botanist and member of the Citizen Potawatomi Nation. In Farming While Black, Leah Penniman uses Soul Fire Farm’s Black and Latinx Farmers Immersion program as a framework for readers to learn all aspects of small-scale farming. Throughout this food justice primer, she gives voice to African diasporic farmers and activists whose work informs her own techniques. Sustainable Gardening for the Southeast offers gardeners simple techniques to conserve water, reduce pollutants, and mitigate climate change while supporting biodiversity and attracting pollinators and wildlife. Last but certainly not least, the Library would like to thank Gail and Jeffrey Fulgham for their thoughtful donation of picture books by Holling C. Holling. Among these is Tree in the Trail, the story of a lone cottonwood tree who observes—and eventually takes part in—the history of the Santa Fe Trail. 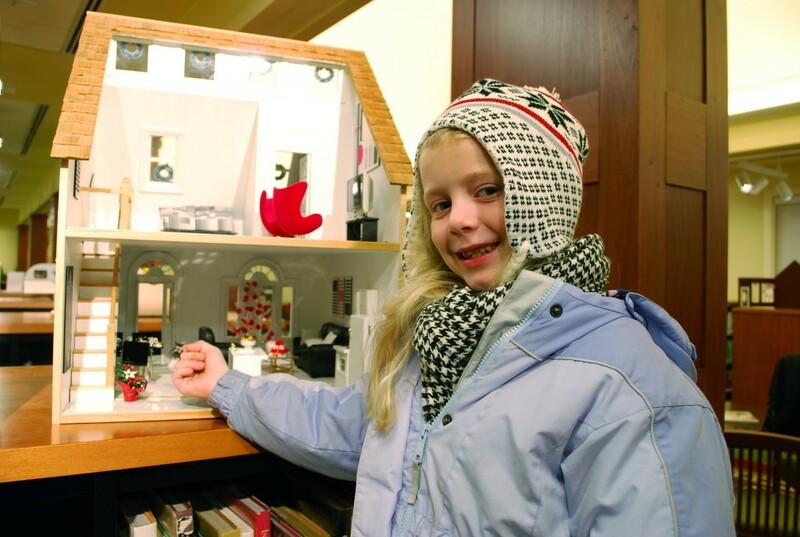 Children always enjoy the dollhouses in the Lora Robins Library during Dominion Energy GardenFest of Lights. Dory Klein is the librarian at the Lora Robins Library at Lewis Ginter Botanical Garden. She loves libraries and gardens, so she’s pretty sure she’s landed her dream job. She hopes that all of you will turn to the Robins Library as a place of discovery and inspiration.